Anatomical University Museums are the keepers of collections which often are very old and different for their consistence and typology. These museums have a fundamental role for the preservation and valorization of cultural historical‐scientific heritage, therefore must become a place of interdisciplinary synthesis. They represent the progress of studies in the past and for the future, and play their fundamental role for the research and for the promotion of educational activities. This role will allow them to be a service for University students and professors, and to spread scientific knowledge to different audiences. Developing the capacity of museums to work in a network is necessary for them to become centres for the production of knowledge, activities and services. 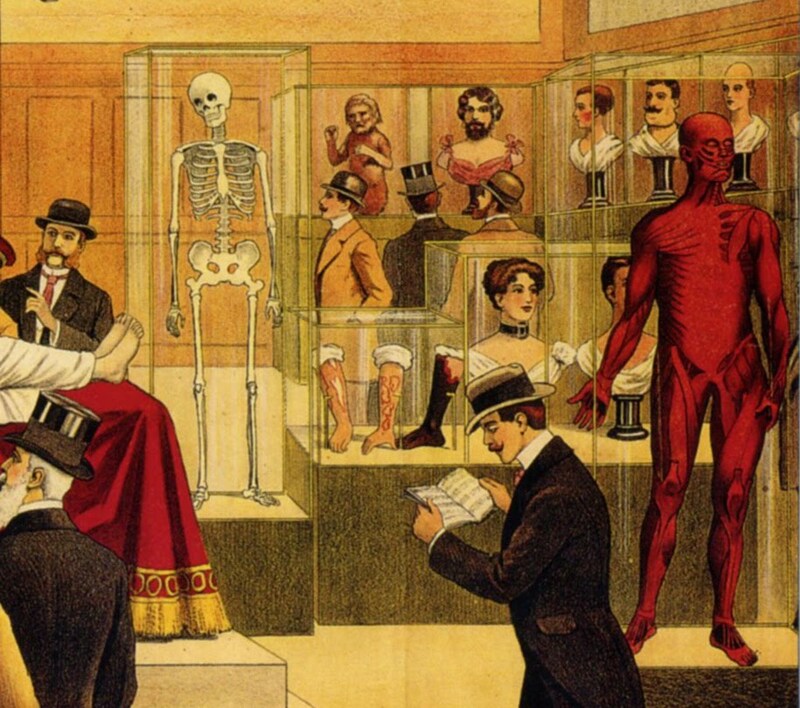 Giovanni Mazzotti, University of Bologna: Visiting an Anatomical Museum: curiosity or training? Sonia Horn, University of Wien: The growth of collections for the permanence of an historical Anatomical Museum. The case of the Josephinum in Vienna. If I was in Italy, I would SO be there.... If any Morbid Anatomy readers live near Modena Italy and would like to make attend and write a report about your experience, you can email me at morbidanatomy@gmail.com. Click here to see original post on the Biomedicine on Display website; More on the image--captioned Plakat für ein anatomisches Museum, Hamburg, 1913--at this recent post; click on image to see much larger image.